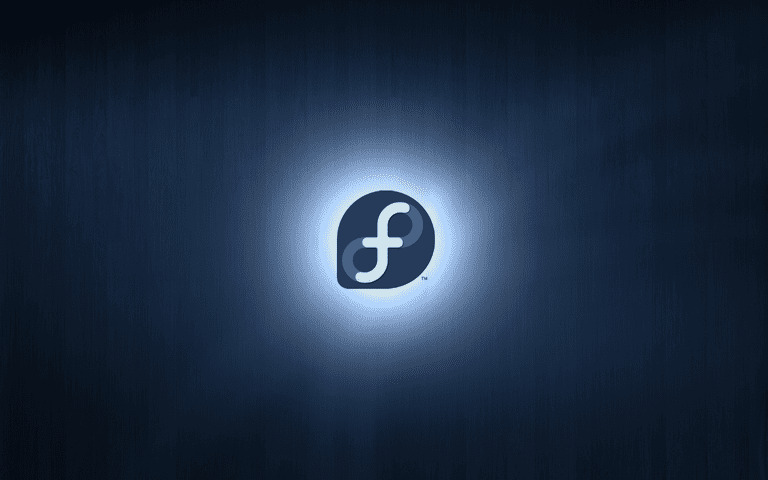 This guide shows you how to install Fedora. These instructions will work for any computer that doesn't use a UEFI interface. (That guide will come as part of a dual boot guide later on). This article at Linux.com highlights the fact that Fedora is cutting edge and brings new technologies to the forefront faster than other distributions. It also only distributes free software so if you want to release yourself from the shackles of proprietary software, firmware, and drivers then Fedora is a good place to start. This is of course not to say that you can't install proprietary software and drivers if you want to because there are repositories available which allow you to do that. A bootable Fedora USB drive. A computer with a minimum of 1 GHz or faster processor, 1 Gigabyte of RAM, and 10 gigabytes of hard disk space. The process takes about 30 minutes. Before you begin, be sure to back up your current operating system. If you are ready to begin, ​insert your Fedora Linux USB and restart your computer. When the screen above appears, click Install To Hard Drive. The first step in the installation process is to choose your language. Choose the language in the left pane and the dialect in the right pane. The Fedora Installation Summary Screen will now appear and this screen is used to drive the entire installation process. On the left side of the screen, the colored bar shows the version of Fedora you are installing. (Either workstation, server, or cloud). The localization section shows the "date and time" settings and the "keyboard" settings. The system section shows the "installation destination" and the "network and hostname". Note that there is an orange bar at the bottom of the screen. This provides notifications showing recommended actions. If you aren't connected to the internet it is worth doing so otherwise you can't use NTP settings to set the time and date. To set up the internet, click the icon in the top right corner of the screen and choose wireless settings. Click on your wireless network and enter the security key. The orange bar within the installation screen will tell you if you aren't connected. You will notice on the image above that there is a little orange triangle with an exclamation mark through it next to the "Installation Destination" option. Wherever you see the little triangle you need to perform actions. The "Begin Installation" button will not become active until all of the required actions have been completed. To change a setting click on the icon. For example, click on Date & Time to change the timezone. To make sure your computer shows the correct time, click on Date & Time from the Installation Summary Screen. All you have to do to set the correct time is click your location on the map. If you aren't connected to the internet you can manually set the time by using the up and down arrows next to the hours, minutes and seconds in the bottom left corner. You can change the date manually by setting the day, month and year fields in the bottom right corner. When you have finished setting the time click the Done button in the top left corner. The Installation Summary Screen will show you the current keyboard layout that has been selected. To change the layout click on Keyboard. You can add new layouts by clicking on the + (plus symbol) at the bottom of the Keyboard Layout screen. You can change the default order of the keyboard layouts by using the up and down arrows which are also at the bottom of the screen. It is worth testing out the keyboard layout by using the "Test the layout configuration below" box. Enter keys such as the £, |, and # symbols to make sure they appear correctly. When you have finished click Done. Click on the Installation Destination icon from the Installation Summary Screen to choose where to install Fedora. A list of devices (disks) will be shown. Choose the hard drive for your computer. You can also choose to make additional space available and whether to encrypt your data. Click on the Automatically configure disks option and click Done. It is worth noting that the physical disk is actually split into two actual partitions. The first is a boot partition of 524 megabytes. The second partition is an LVM partition. If your hard drive has another operating system on it you are likely to receive a message stating that there isn't enough free space to install Fedora and you are given the option to reclaim space. Click the Reclaim Space button. A screen will appear listing the current partitions on your hard drive. The options are to either shrink a partition, delete a partition that isn't required or delete all of the partitions. Unless you have a recovery partition for Windows, which you need to keep if you intend to restore Windows at a later stage, we would opt for the delete all partitions option which is on the right side of the screen. To set your computer's name click the Network & Hostname option from the Installation Summary Screen. All you have to do is enter a name for your computer and click Done in the top left corner. You have now entered all the information required to install Fedora Linux. (Well almost). Click the Begin Installation button to start the full process of copying files and the main installation. Click the Root Password option on the configuration screen. You now have to set the root password. Make this password as strong as possible. Click Done in the top left corner when you have finished. If you set a weak password the orange box appears with a message telling you so. You have to press Done again to ignore the warning. Click on the User Creation option on the configuration screen. Enter your full name, a username and enter a password to be associated with the user. You can also choose to make the user an administrator and you can select whether the user requires a password. The advanced configuration options allow you to change the default home folder for the user and the groups that the user is a member of. You can also specify the user id manually for the user. After Fedora has finished installing you can reboot the computer and remove the USB drive. Before you can start using Fedora you need to go through the Gnome desktop environment setup screens. The first screen simply gets you to choose your language. When you have chosen your language click the Next button in the top right corner. The second setup screen asks you to choose your keyboard layout. Some of you might be wondering what the point was of choosing the keyboard layout when installing Fedora if you have to choose it again now. The next screen lets you connect to your various online accounts such as Google, Windows Live, and Facebook. Simply click on the account type you wish to link to and then enter your username and password and follow the on-screen instructions. When you have finished selecting online accounts you will now be in a position to use Fedora. Simply click on the Start Using Fedora button and you will be able to use your new Linux based operating system.